• Stylish, cost-effective design is sure to be a hit. 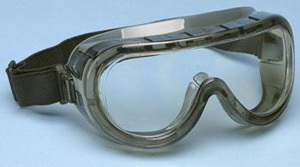 •Lightweight, compact frame is more comfortable than traditional goggles, which tend to be big and bulky. •Frame is made of a soft, flexible material, providing additional comfort for long days on the job site. •Whirlwind™ ventilation system minimizes fogging by circulating air through the optical chamber. •Elastic head strap can be easily adjusted to ensure a safe, snug fit – regardless of the worker’s head size. •Available in 3.0 and 5.0 IR Filter versions. 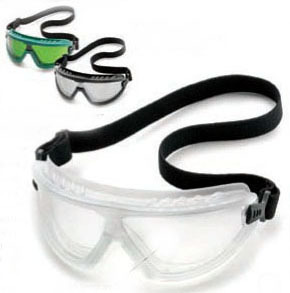 This product is a hybrid of safety glasses and goggles. 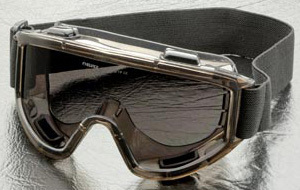 •Wide contact between goggle and face provides for a very comfortable fit. •Unique and functional nose bridge provides excellent seal. •This goggle fits over prescription glasses, with room to spare! •The Legionnaire is equipped with an adjustable elastic support strap. •Impact resistant molded lens with SuperCoat™ anti-fog coating. •2.0 mm thick Polycarbonate lens with a base 3.5 curvature. •Eighteen (18) built in, indirect ventilation slots for superior fog resistance. •Goggle, GG-25, complies with ANSI Z87.1 requirements. •Base six Polycarbonate lens with SuperCoat™ anti-fog coating. •Impact resistant, molded and 2.2 mm thick lens. •Four indirect ventilation slots further improves fog resistance. 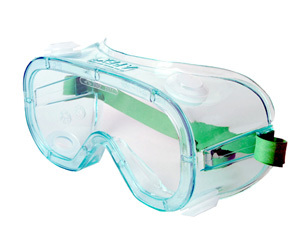 •Goggle is equipped with an extra wide and adjustable support strap. •Visionaire complies with ANSI Z87.1 requirements. • High-End Quality & Versatility Without the High-End price. • RX-Able Ansi Z87.1 Compliant Lens. • Foam Gasket Seal (Airless Eye Protection) Remove & Convert to Sunglass. • Adjustable Elastic Band, quick Release Push Button System.